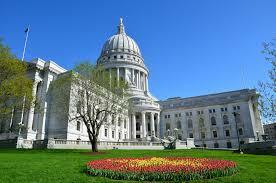 After a brief break during the holiday season, the Wisconsin State Legislature is officially back to work. On Tuesday, legislators in both houses met on their respective floors to open the spring session of 2016, the last session before the next election cycle. With the 2015-2016 session wrapping up by April, the legislature is working with a sense of urgency to finish their agendas. Starting the year on a bipartisan note, the Assembly focused their first day back on tackling the ever growing opiate abuse problem within our state by passing the HOPE (Heroin Opiate Prevention and Education) agenda. Require a practitioner to check a patient’s record before prescribing monitored prescription drug. The practitioner must also update prescription in the Prescription Drug Monitoring Program (PDMP). Law enforcement officials must report to the PDMP any controlled-substance violations, opioid-related overdoses or deaths and reports of stolen prescription drugs. The Department of Health Services (DHS) will oversee all pain management clinics within the state. Require methadone clinics to track and report all data to DHS on an annual basis. The HOPE agenda passed the Assembly unanimously and has been immediately messaged to the state Senate. Gaining much support, this package of bills will likely be taken up within the next few weeks on the Senate floor. Once approved, they will be messaged to the Governor for his final signature. In addition to the HOPE package, Senate Majority Leader Scott Fitzgerald has made it clear that he plans on passing a DUI bill aimed at harsher punishments for repeat offenders. Assembly Bill 432/Senate Bill 335 would permanently revoke a person’s driving privileges after their 5th drunk driving arrest or 3 or more OWIs followed by 2 or more qualifying convictions. As for next week, both houses will once again hold session, with the Assembly convening on Tuesday and the Senate on Wednesday. Each house will be tackling more issues with the Assembly in particular focusing on rights and care of children.